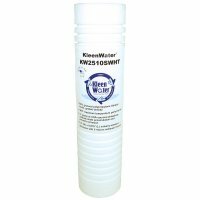 The KleenWater Premier KWHW2510 is a heavy duty hot water filter for various high temperature filtration needs. The filter accepts any universal 2.5 x 10 inch cartridge. Cartridges are not included. See our other KleenWater Premier packages for combination filter/cartridge value packages. 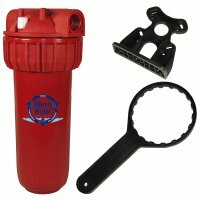 The KWHW2510 filter is made in Italy with reinforced polyamide. It is rated for maximum temperature of 176 degrees F and 116 psi. The flow rate is 7 GPM. The inlet / outlet is 1" FPT. The filter is equipped with a pressure relief valve which facilitates a quick and easy cartridge change. 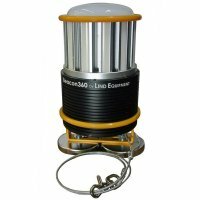 Filter dimensions are approximately 5 1/2 inch(W) X 12"(H).